With an ever-expanding posse of pros playing its gear, PXG announces Tour-validated 0311T forged wedges are now available to the public. Each head is CNC-milled to precise specs from 8620-carbon steel. 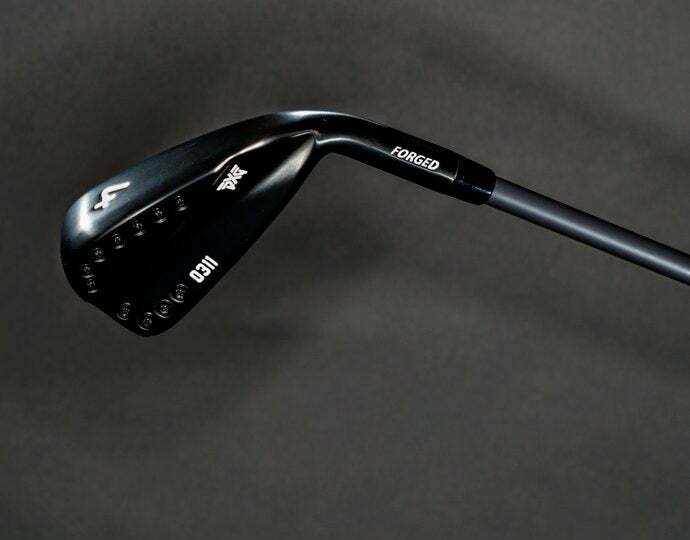 "I've always wanted to design an entirely milled wedge, but it's a time consuming and expensive process," says Mike Nicolette, senior designer, PXG. "With Bob Parsons' support and commitment to exploring new processes and materials, we've been able to develop a collection of milled wedges that are nothing short of incredible." The 0311T employs the same groove pattern as the company's forged 0311 wedges in the 46° to 52° lofts, while a more aggressive pattern has been added to the 54° to 60°. In addition, PXG's signature tungsten weighting helps increase MOI. Players can choose from four sole designs—Sugar Daddy, Romeo, Zulu and Darkness. Currently played by Lydia Ko, the Sugar Daddy is an all-purpose wedge that can handle a variety of playing conditions, the narrow-soled Zulu (Zach Johnson's gamer) is best for firm conditions, the wide-soled Romeo (Ryan Moore's go-to club) is suitable for open-face shots in soft sand or high rough, and the wide-soled Darkness (company founder Bob Parsons' favorite) has a larger head for added forgiveness. Loft options, by model: Sugar Daddy (46°, 48°, 50°, 52°, 54°, 56°, 58°, 60°), Zulu and Romeo (58° and 60°), and the Darkness (55° and 60°). The Sugar Daddy, Zulu and Romeo come in chrome or dark finishes while the Darkness sports a dark finish only. The 0311T wedges are available through PXG authorized fitters for $650 (chrome finish), $750 (dark finish), or $800 (Darkness model).